Hey there! Thank you for stopping by my blog on your tour of free Christmas Printables and Vignettes! 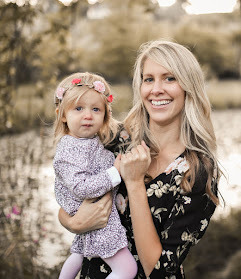 Thank you Kristen from Ella Claire Inspired for putting this together! If this is you first time here, my name is Emmie and I love to share my crafty projects and my drawings and free prints. This year I wanted to draw the Nutcracker characters for Christmas. If you're unfamiliar with The Nutcracker, the story is about a young girl named Clara who wakes up at midnight on Christmas Eve to find that she has shrunk down to the size of her beloved toy soldier Nutcracker. The Nutcracker has come to life to save her from the Mouse King. The Nutcracker defeats the Mouse King and turns into a handsome prince and takes Clara to a magical land ruled by the beautiful Sugar Plum Fairy. Here's my printable. 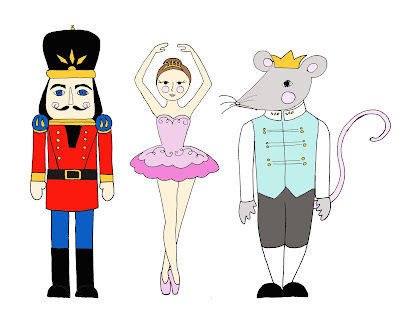 I drew the Nutcracker, the Sugar Plum Fairy, and the Mouse King. You can download and print it HERE. I grew up going to the Nutcracker ballet almost every Christmas. I've always been in love with the story. I love when the tree grows, when the Nutcracker fights the Mouse King, and the Sugar Plum fairy's famous dance. I used to lay under my mom's Christmas tree and imagine that it was growing taller and taller. I used a thrifted window frame, a Christmas wreath, and a Nutcracker and lantern from Target to complete my vignette. 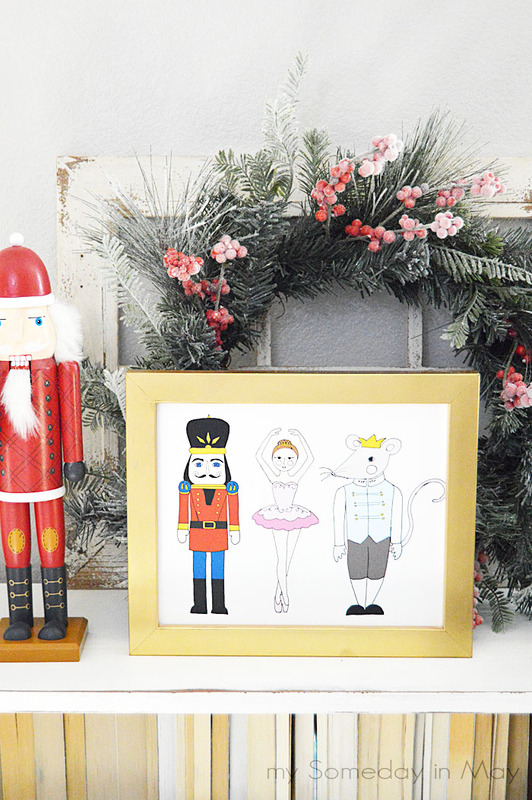 I hope you like my little Nutcracker print and can find a place for it in your Christmas decor. Thank you so much for stopping by and please come by again! 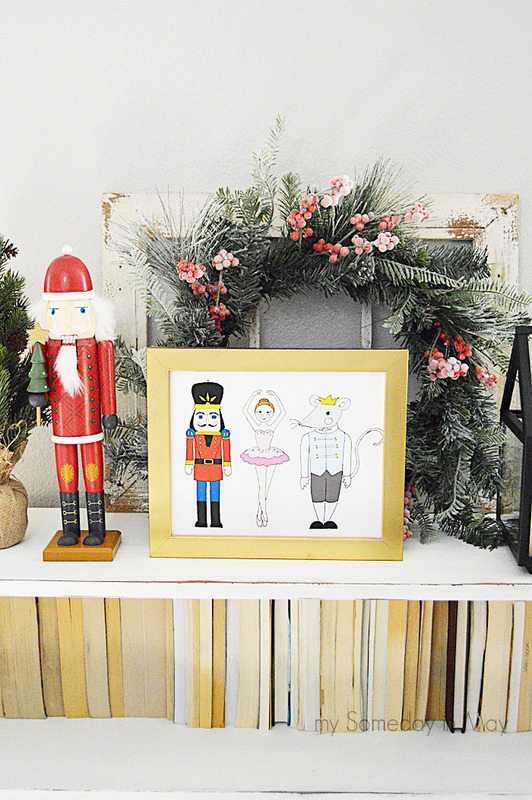 Don't forget to take a look at these amazing Christmas printables! I enjoyed your SPF, MK and NC. I would like to find out how I could get a larger file copy of these and permission to work on a project for the upcoming holiday season. Is there a way to contact you.